Every year in the run up to Christmas, more and more companies release their annual advent calendars. I remember when advent calendars were plain and simple, a choccy in the morning before school to hype you up and start your day off right. Now?! That is not the case. Of course, chocolate calendars are still around, I think they always will be. However now days, there's makeup calendars, there's skin care calendars, there's calendars with candles in, calendars for your dog, calendars you can put together yourself, calendars for children e.g. Lego. You get the picture, one day our local newsagents will be releasing their own festive countdown's for us all. Personally, I haven't had a chocolate calendar for about 10 years, probably longer then that actually, and every year I tell myself "I'm gonna have a beauty calendar next year..." Yet I never actually purchase one. I suppose these days, we don't all need to buy these countdowns, because they are all showcased on platforms like Snapchat day by day anyway, so its not a total surprise. Don't get me wrong, I could just stay off of social media until my own was opened, but we all know that's never going to happen. Anyway, lets get on to where this post is actually going! You may have seen in my post here, that there is 1 blogger in particular that I have more of a connection with, then anyone else on the Internet! That's Steph! 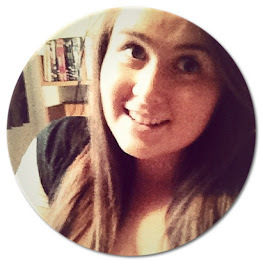 Steph is a lifestyle blogger that writes all about theatre reviews, baking, beauty and everything else in between! This Christmas, Steph has gone above and beyond with a hand full of other bloggers to create her very own advent calendar! Steph approached myself and a couple of others back in November to see if anyone wanted to get involved with the advent, which is in itself, is her very own take on the traditional "Blogmas". Steph has put so much work and effort into this holiday season (not that she doesn't all year round!) and the finished result is amazing! Steph put together her own Christmas themed Q&A, we all filled them out and sent them back. She then got to work formatting and creating her big idea. I an sooooo, so excited for her about how its turned out! It's so clever - each day, the calendar changes, the new number spins and reveals a blogger, clicking the bloggers button then launches their Q&A. It's so interesting to see everyone else's different answers! As well as a bit odd, seeing something you've typed up yourself, appear on someone else's blog! (clearly I've never guest blogged before!). Really, in short, this post is just a shout out and well done to Steph, for all the hard work, time and effort that she puts into her blog. I absolutely love heading over there every day to read that days post! It also has given everyone the chance to get to know other bloggers on a more personal level, even though the questions are all focused on 1 topic. I hope Steph's creative idea can inspire others for future projects and I can't wait to see what she comes up with next! No grammar police were consulted before publishing this post. This post, has really taught me about the difficulty I have when spelling the word "calendar". Oh my life. I love you so much Libby. You really are amazing! This post has really come as a shock and I say here with tears in my eyes reading it. It's so lovely and sweet of you to say and I couldn't have done it without you. You are so supportive, loving and kind. Haha, bless you! I used to love getting them but it just doesn't phase me anymore! I always have to have my chocolate calendar, regardless of my age I think I always will! And I've always wanted a beauty calendar but could never justify the hefty price tags that they came with when I'd probably only use a few products! But this is such a cool idea - I'll have to check out Stephs blog! I know, beauty ones can be sooooo pricey but I think this year I'm going to bite the bullet and get 1!